We are just a few hours away from witnessing the 2nd teaser of Superstar Rajinikanth’s Kabali. The Neruppu Da teaser will be officially released by 8 PM today, 16/6/2016. Santhosh Narayanan who has given a mix of some massy and class tracks for Kabali, has opened up through his Facebook portal, on what we can expect tonight from the 2nd teaser. 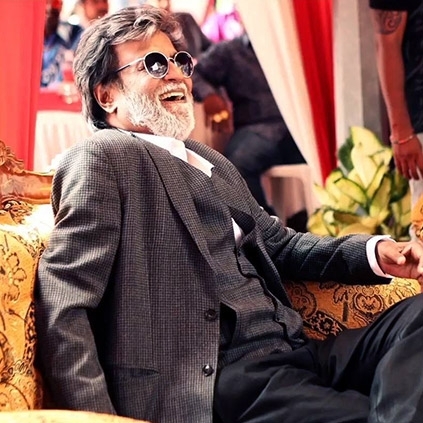 “The Kabali song teaser is scheduled to be released tonight. Apart from being immensely honoured to be a part of Kabali and apart from being a great admirer of our superstar, I was blown away by the sheer energy of the teaser. I, along with many other technicians requested this teaser to be released after the audio release as we just could not get our heads out of this brilliantly made video for days. I am sure that we will all celebrate this special day with our beloved superstar. Sai Pallavi signs her 1st non-Malayalam film! An important tweet from Rajinikanth soon! Will Superstars Get Accepted As Politicians In Kerala? People looking for online information on Kabali, Rajinikanth, Santhosh Narayanan, Superstar will find this news story useful.